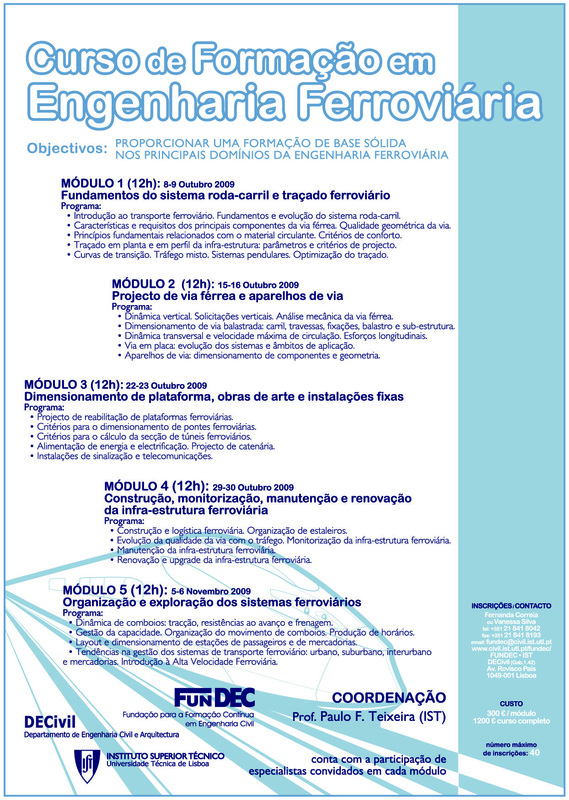 The course is included in the fifth year of the Integrated Master Degree (MSc) in Civil Engineering. The course is included in the first year of the Master's Degree (MSc) in Transport Planning and Operations. RailNewcastle organized a 3-week intensive railway education programme held at the University of Newcastle upon Tyne, in the UK. It involved 20 professors from 10 different European universities. The programme targets undergraduate students in order to introduce and/or deepen students' understanding of the railway industry. RailNewcastle involves a multidisciplinary approach, combining lectures, project-based work and technical visits to deepen students' understanding of the railway industry.